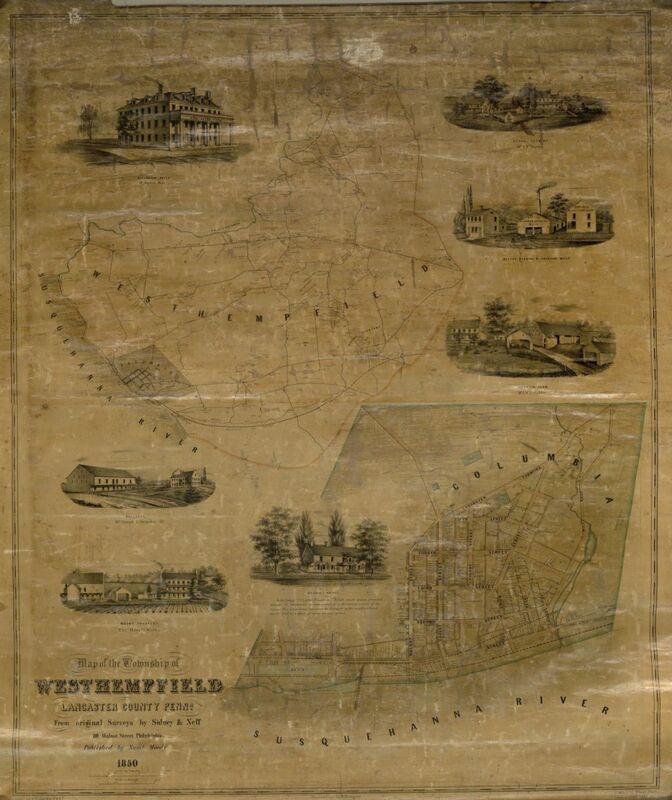 The recorded history of West Hempfield Township originates in 1729 when the boundaries of Lancaster County were defined by surveyors upon the decree of the provincial government. 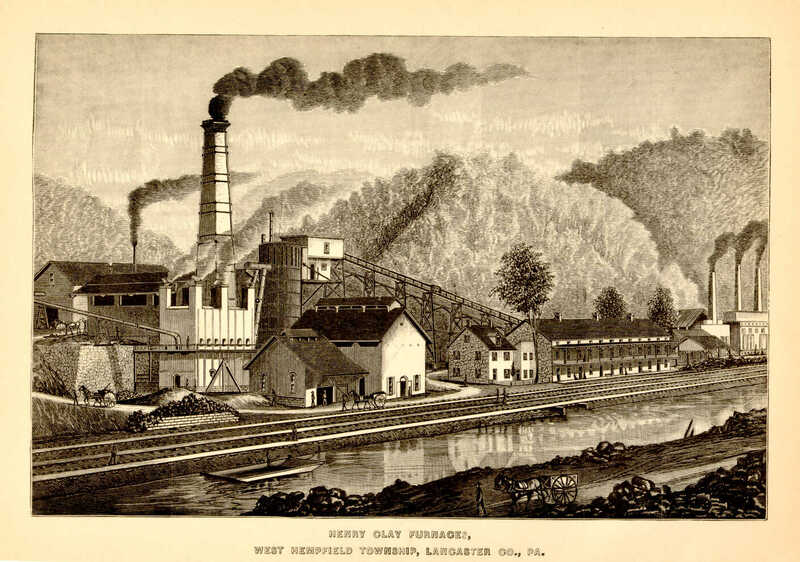 Hempfield was one of the original townships of the county and included the present land areas of East Hempfield, West Hempfield and Manor Townships, and the Boroughs of Columbia, Mountville, and East Petersburg. Manor Township became a separate entity in approximately 1740; Columbia was incorporated as a borough in 1814 with further annexation of land in 1904; East Hempfield, including the area currently known as East Petersburg Borough, was established in 1817; and finally, Mountville Village became a borough in 1906. Essentially, the land area of West Hempfield Township has retained its name since 1818. According to available information, West Hempfield Township was settled in 1718-1720 by an overflow of Scotch-Irish pioneers from the Donegal region, and Germans from the East Hempfield area. Since the Township is traversed geologically by a limestone belt which has weathered sufficiently to produce a soil compatible with excellence in farming, it initially became a rich agricultural district with some of the finest farms in the county. A quartzite ridge cuts a wedge through the center of the Township and had significant bearing on the historical aspects of the township during the 19th century. Iron ore was mined in open pits in the early part of the 1800's. Furnaces processed the ore and one of the major furnaces was located along the Susquehanna River. The archaeological remains of this furnace and related buildings can be seen at the Chickies Rock County Park. The abandoned mine pits dot the Township near the village of Ironville. The abandoned mines filled with water from springs and rainwater. Grubb Lake, named after one of the prosperous iron families, is the largest of these abandoned mine pits, and served as the source of Mountville Borough’s water supply for many years up to 1998. Today, the site is being studied for its potential use as a natural park. A Township police department was created in 1960. The current department consists of 20 full- and part-time officers, including a Chief, two detectives, and three sergeants, two corporals and 12 patrol officers. The department provides 24-hour protection to the community. In 1989, the voters approved a referendum increasing the number of elected supervisors from three to five. Also in 1989, the Board of Supervisors hired a professional Township Manager to assist with the daily business of the Township. Currently, the Township has 30 full- and part-time employees. The Township is 17.2 square miles in area, which includes the Susquehanna River. The current population is nearly 15,000, and has grown most dramatically in the 1980's, slowing somewhat during the 1990's. This growth and the preservation of farmland have been major challenges. Some strides have been made to control growth and to direct it to appropriate areas in order to preserve farmland and natural areas. Additional planning tools and practices are under consideration, and the current Comprehensive Land Use Plan is being revised to further define the future priorities of the Township.